We have a wide variety of plates, candlesticks, vases, accessories, and seasonal items for you to decorate. . We also have a pottery wheel for those willing to try their hand at making their own ceramic pieces (please call for an appointment at 732-508-3092). *Please note that hand building includes TWO studio sessions. One to create the clay pieces and another to paint them. From start to finish this process should take about a month, so please plan ahead if you want to create handmade gifts for a birthday or holiday! Once we have given you the 5 lbs of clay, you'll now need to "wedge" the clay to make it easy to work with. We suggest pressing the clay on the table and tossing it from hand to hand to get air bubbles out. Then, you can begin to model and model the clay. We encourage using some water to "stick" the clay together. Feel free to build whatever you would like with the clay...or staff will give you a few pointers on dos and don'ts of clay modeling. Just try not to make anything too thin and fragile! 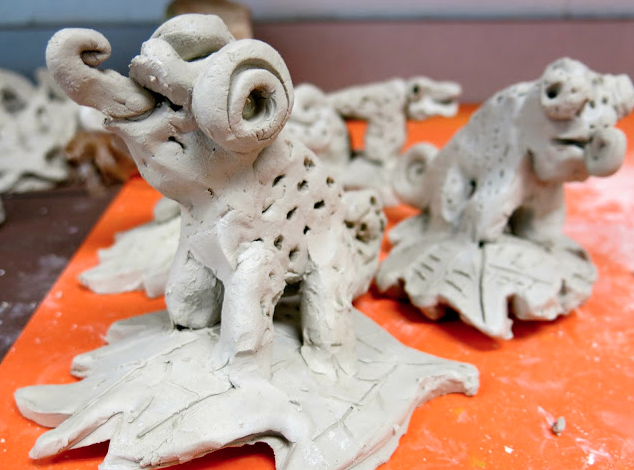 These clay creations need to dry and then be fired in our kiln for the first time. This process takes about 2 weeks. Two weeks after your initial hand building session, we invited you to come back and paint your pieces! Stay as long as you'd like to paint them! We supply non-toxic ceramic paint, along with brushes and sponges. We recommend painting at least three layers of paint to achieve a solid color. After you are finished, we will fire the pieces in our kiln and the colors will change to becoming bright and beautiful! Two weeks after you finish painting your ceramics and leave them at our studio, you will be able to come back and pick up your masterpieces. Just bring back your receipt! 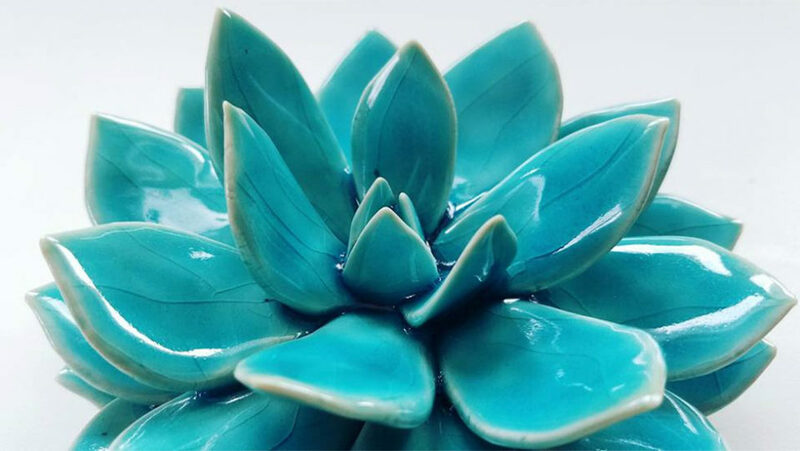 Handmade ceramics are a great gift idea - fun for all ages!